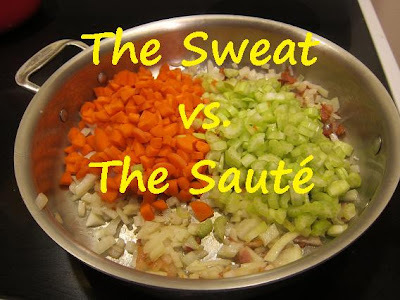 The Difference Between The Sweat and the Sauté. 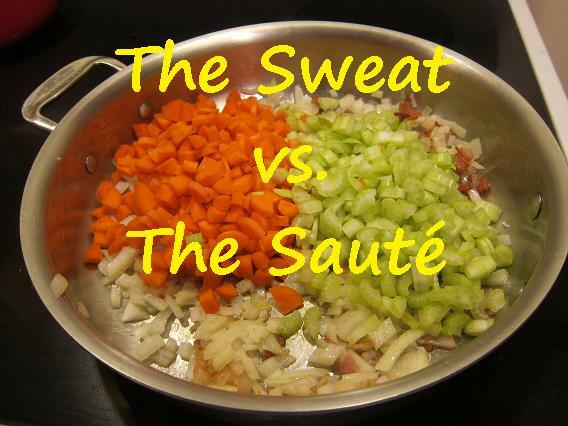 The word sweat might not sound appetizing – and it might not sound like it belongs in your kitchen. But, certainly it does! For the rest of the story, (minus the football players), head on over to Adventures of our Fami-Ly where I'm today's "Substitute Teacher" at the Trade School. ~~~~~~*~~~~~~~ You ARE taking the free classes, right?